We start a new three week series on Sunday as part of the run up to Christmas, looking at different characters in the genealogy of Jesus. 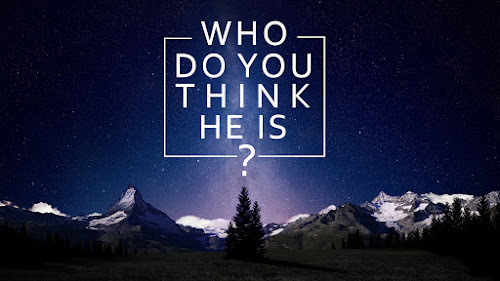 Any fans of the BBC series "Who do you think you are?" will know how fascinating it can be to discover more about somebody's ancestors, and how they can give us insights into that person. Pete Scazzero, author and speaker on emotionally healthy spirituality, says that "Jesus may be in your heart, but Grandpa is in your bones!". As a pastor I see that again and again, both positive and negative traits being passed from generation to generation. I don't think that Jesus was shaped by his ancestors in the way we might be, but I do think his ancestors have important things to teach us about who Jesus is, the people He was happy to have included in his family tree, and the difference He has come to make. We've also got baptisms in all three meetings in Bracknell on Sunday - let's be praying for some in Sandhurst too next time round! Many of you will remember that last July, prior to me going on my sabbatical, we asked everyone to fill in a questionnaire to give their reflections on being part of Kerith. The aim was to give people a voice, hearing what people liked and didn't like about our community, and getting thoughts on what we could or should do differently. I spent some of my sabbatical going through the survey results, thinking about people's responses and reading every comment, all of which was both informative and generally encouraging! Now I realise that some people don't think we should do things like questionnaires, that as leaders we should just listen to God and do what He tells us to do. That all sounds very spiritual, and it's certainly true that our only desire should be to do the will of God, but in reality God often speaks to us through people. Therefore as a pastor I want to know what people are thinking and feeling. Proverbs tells us to “Be sure you know the condition of your flocks, give careful attention to your herds” (Proverbs 27:23). To me a survey feels like a good way of hearing from lots of people, not just the people who would be in my social circle or who I'd naturally get to hear from, but from everyone in our community. In total the survey was filled in by 345 people, which I'm sure most statisticians would say is pretty significant in a community the size of ours. Thank you to everyone who completed it. Heather Pocock has done some brilliant work in taking all the survey results and summarising them for us - you can find her summary here. As part of her summary Heather identified ten 'elephants' - questions which people raised which I'll attempt to answer over the next couple of months via my blog. Heather also went through all the comments people had made and identified ten big themes which came up again and again. You'll find these in the summary, along with some of the comments which were behind them. On the 3rd and 10th January I'm going to do vision talks where I'll talk about 8 different things we're going to focus on in 2016. Interestingly for me the things we're going to focus on all relate to the ten themes identified in the survey, which is very encouraging! I'd love to hear your reflections on the survey results. First of all a huge thank you to everyone who has already given to our 'Generous' Gift Days. We'll look to announce a provisional total this coming Sunday, yet another reason not to miss being there! For anyone still wanting to give (I know some people have been waiting for pay days and the like before giving) then it's not too late. You can either give online via our website, or you can give on a Sunday by using one of the giving envelopes and identifying your gift as being for the gift day on the giving form. It's going to be so exciting over the next few months as we give away everything that has come in locally, nationally and internationally, and then begin to hear stories of the difference our giving has made in a whole variety of different settings. It truly is more blessed to give than receive! I thought you'd appreciate an update from Nepal, following the earthquake almost 6 months ago. As you'll recall, the earthquake claimed the lives of almost 9,000 people; it destroyed homes, livelihoods and schools. In a few moments a nation was changed. Of course, as ever, the TV cameras moved in. Night after night we saw the harrowing images, heard the cries of those affected and celebrated the all too infrequent miracles. And then the cameras moved on. Tick tock, most forgot. But not the local church. Not the local church that Tearfund has been able to draw alongside and support in rebuilding the country, thanks to the generosity of congregations like yours. I am writing to thank you again for that support and to tell you a little of how we’ve been able to make a difference. Go back just before the disaster, we at Tearfund had been talking lots about our work in Nepal. Months before we’d had a small film team there and had been talking about our church mobilisation work in the country. Church after church helping communities help themselves out of poverty and in turn helping them stop child trafficking. Of course the work goes on. We’re just 6 months in. Indeed the church isn’t ever going away. Behind the statistics are individual stories. Here’s just one. Surya and Kanchi have four children. They’re subsistence farmers, living in the foothills of the Himalayas. The earthquake destroyed everything they had - their home and their land. 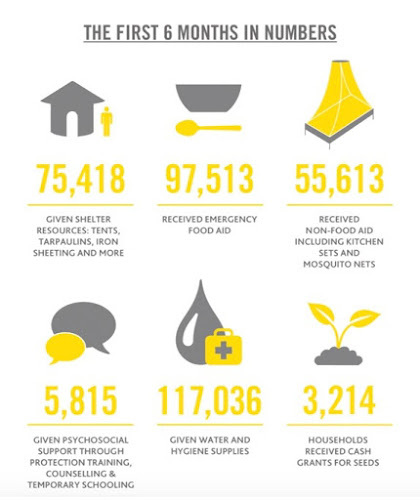 Tearfund and its partners have however been able to step in - initially providing emergency accommodation and supplies. Together we were able to provide them with all the equipment needed to make safe shelter, keeping them dry in the monsoon rains. But that shelter, made from iron sheeting, won’t last forever. That’s why attention is now changing and we’re starting to teach local masons how to build homes that are much more resistant to earthquakes. We’ll then supply families, like Surya and Kanchi’s, with the resources to rebuild their homes with the help of the trained masons. The generosity of Kerith and others, as it stands with the church in Nepal, makes this and tens of thousands of other stories possible. On behalf of all at Tearfund, our partners and those we serve, thank you. Oh and here’s a little film of some of those we serve saying thank you themselves. As part of our Generous Gifts Days we want to give money to the church we partner with in Elbasan in Albania. The church there is lead by a brilliant couple called Ilir and Rudina (who you can see in the photo below), both of whom have visited Kerith in the past. Buildings in Albania are interesting in that they're never really finished! People will build a one or two storey home, then when their eldest child is ready to set up home they just add another storey or two to the house, they move to the top floor and their child moves in below (I guess it's a form of security for retirement!). Their church buildings seem to be similar. The church in Elbasan has a pretty sizeable building which they are always adding to or developing. Recently we gave them some money to help finish some rooms where they'd put in the walls and the roof but didn't have the money to put in the floor, the heating and the windows - here are some photos of them putting in ther floor. and here's a view of the outside of an area which they've finished! 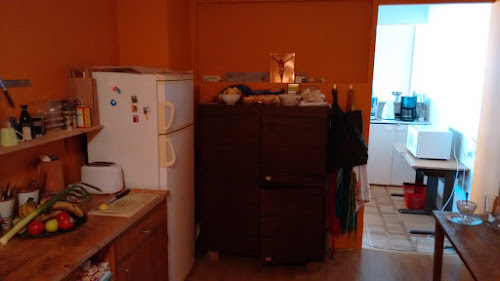 For the next phase they want to finish some more rooms so that they can move their children's work from a basement room to three different rooms on the ground floor. The church is growing, and is soon to merge with another church which could double it in size, so having more room for kids work and being able to split up the different age groups is critical for them. If you haven't already given please be thinking about what you're going to give on Sunday, or you can give online here. Our generous giving will not only be a huge encouragement to our friends in Albania, but will also make an enormous impact on the growth of their church. 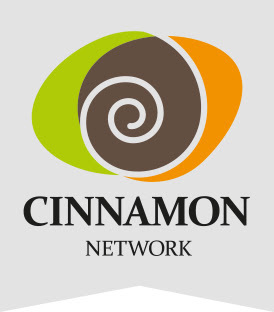 As part of our 'Generous' Gift Days we are giving money to Cinnamon Network to allow them to help churches all around the UK in setting up Social Justice projects in their local communities. Cinnamon is headed up by an amazing guy called Matt Bird. I asked Matt whether he would record us a short video to explain exactly what Cinnamon do, and where our money will go. You can watch that video either by clicking play on the window above, or if that doesn't work by following this link. We're in the middle of our Generous Gift Days, where we're hoping to raise £100,000, all of which we'll then give away locally, nationally or internationally. I realise that lots of us now give online using internet banking, rather than putting cash or cheques in the Sunday offering. In fact only about 22% of the money we receive in offerings comes in on a Sunday - the rest comes via various different forms of bank transfer (stand orders, website giving and a host of various other ways). I know for lots of us it will be simpler to give to the Gift Day online rather either last Sunday or this coming Sunday - if that's you we want to make giving as simple as possible. Follow this link to go to a web page where you can give using a debit or credit card. Do a direct bank transfer using your own bank's online banking tools. You'll need our bank details which you can find here, and either put "Gift Day" in the reference field in the banks online form, or send an email to our accounts team to let them know your giving is for the gift day. Whichever way you give, if you're a UK taxpayer and haven't done so already please complete the Gift Aid declaration on one of our giving envelopes, or use the online form. This allows us to claim back 25p from the government for every £1 you give - how cool is that! 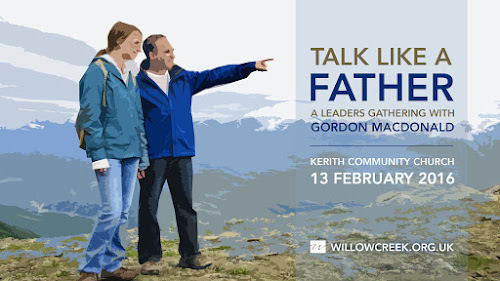 I wanted to be sure that those of us who might be considered to be some of the core of Kerith, the elders, trustees and staff, were doing our part in helping us achieve our £100,000 target, and were leading by example. I therefore asked that group of people to let the accounts team know what they were hoping to give. So far 18 people have responded, and have pledged to give over £14,000 between them. If that level of generosity was repeated across our community we should easily reach the £100,000 target! A huge thank you to everyone who has already given, and to all who are planning to give over the next week. It's going to be amazing over the coming year to hear the impact our generosity has made both in the UK and overseas. Hopefully by now you know that over the next two Sundays we're going to be having our 'Generous' Gift Days, where all the money that comes in is going to be given away. I've already written about how we're going to give away money locally and nationally. I thought today I'd say a bit about the international focus. They're all in post communist nations. They're all lead by indigenous leaders, not a leader parachuted in from another nation. This is important as it's so much easier for local leaders to reach their nation, given that they naturally get their culture, language and don't have to break all the barriers which outsiders have to overcome. All of the churches we work with overseas have been blessed with buildings. 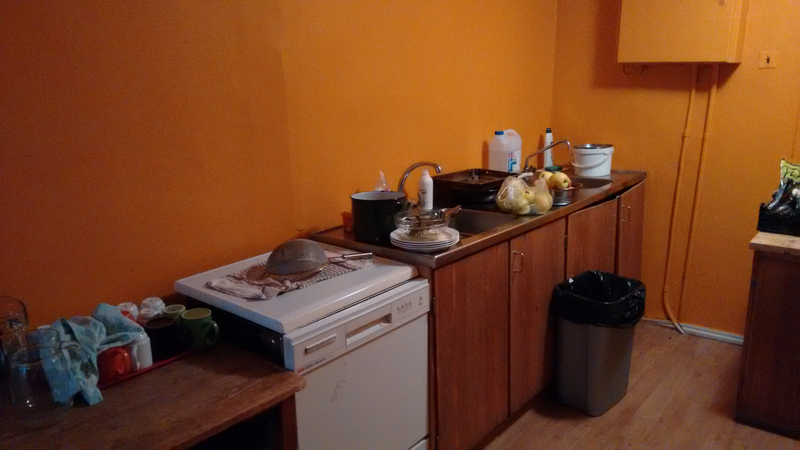 The church in Klaipeda in Lithuania has an old communist era hotel they've bought and are renovating. The Estonian church has an old Russian Army building which was used as a recreation block which they're transforming room by room. 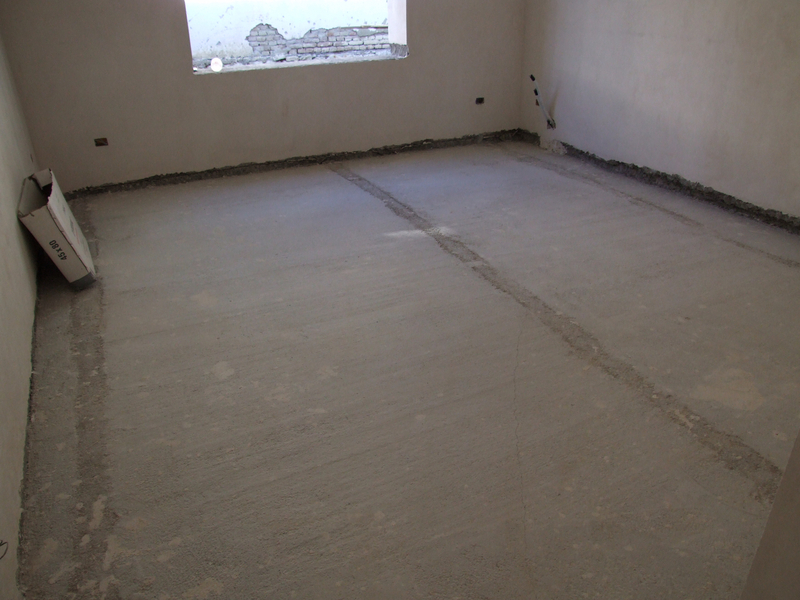 The church in Elbasan in Albania are building their own building, and the church in Niš in Serbia have an old house they've bought and are gradually renovating. They've all got buildings but all of their buildings are a work in progress, with massive potential but huge amounts of redevelopment still to do. That's where we want to come in - to give each of these churches a chunk of money to allow them to do the next stage of redevelopment. As an example the church in Kuressaare in Estonia have a very basic kitchen which they'd love to develop into something more professional. Many of their church gatherings, including much of their outreach into the local community, are based around meals so having a better kitchen would be a huge boost to them. 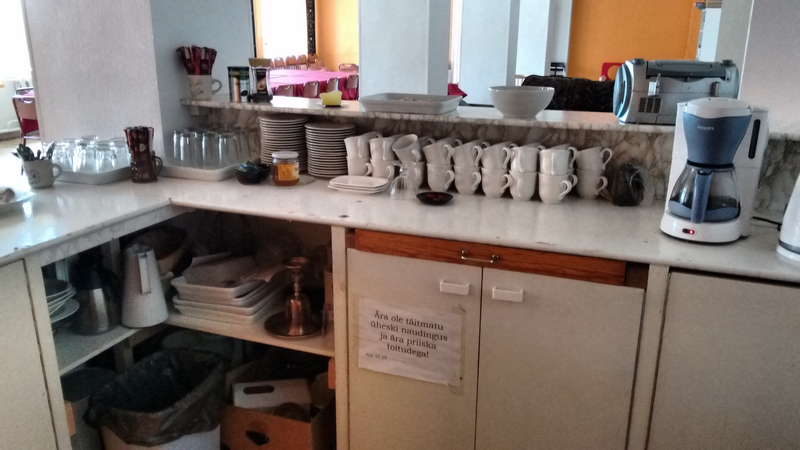 They've already done a great job in renovating other areas of the building, some with the help of a team from Kerith, so I have no doubt the money we give them will be put to very good use. 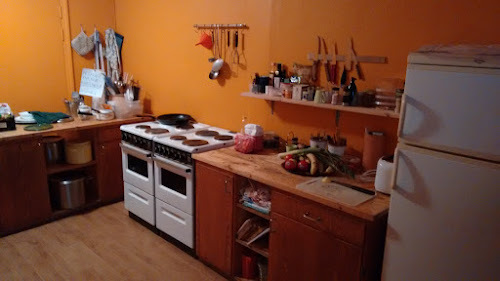 I've included below some pictures of their existing kitchen to give you an idea of what they currently have and for you to visualise how much better it could be! Let's sow generously into each of these nations - there is no doubt that we will reap what we sow. ps Just to be clear Saulius and the team in Lithuania may also choose to use some of the money we give them to kit out a venue for the new church they're planting in Lithuania's capital city, Vlinius. All very exciting! Over the next two Sundays we'll be taking up our Generous Gift Day offerings. The goal is to raise over £100,000 with everything that comes in being given away either locally, nationally or internationally. I blogged last week about how we're going to do the local giving. We've already had quite a few organisations nominated for local gifts but it would be great to get some more - you can find the details on how to nominate here. Nationally we're partnering with an organisation called the Cinnamon Network, a charity which exists to equip churches to help those most in need in their communities. One of the key ways they do that is through giving Micro-Grants of up to £2,000 to any church wanting to set up one of the Cinnamon recognised social justice projects. We benefitted from one of those grants when we started up our CAP Job Club, allowing us to buy the laptop computers which we use to help clients to do job applications and complete their CVs. There are a whole load of Cinnamon recognised projects, some of which we run as a church and others which I suspect will be new to many of us. You can find the full list of projects here - I encourage you to take a look as I think you'll be amazed at the range of projects avaialable. The great thing is that any church, anywhere in the country, can find projects there which would help them to reach needy people in their particular community. I'd love us to give a big gift to Cinnamon, all of which they will then distribute to churches around the UK to enable them to reach the needy in their community. You only have to think of the impact that our social justice initiatives have had in our local community to think of the difference that our generous giving could make, as it allows churches all over the land to set up projects to reach their communities. In time Cinnamon will send us back reports from the churches which we've helped, letting us know the impact those projects have made both on the churches themselves and their communities. That's not why we're doing it, but it will be exciting over the coming years to hear about the difference our generosity has made. Please be thinking and praying about what to give. Being generous will look different for every one of us, based on our own financial situation. Please don't worry about what anyone else is going to give, or about the overall target, but just be asking God what being generous would look like for you. Lots of people have commented to me on how moving they found the poem which Stuart Bryan read after the minutes silence in each of our morning meetings on Sunday (Lee Simmonds read it in the evening). Stuart not only read the poem but also wrote it. It's such a beautiful piece of writing that I thought I'd reproduce it here so that we can all appreciate it. ps - Just for the record we can be very proud of Lee too! Our daily battles pale against their greater sacrifice. 18 and enlisted, He hadn’t left home before. Never heard another accent and, truth be told, he’d never kissed a girl. Waiting anxiously for freedom that was signalled by the bell. Tucks it deep inside his satchel next to a sandwich from his mum. Their lives are duly honoured and this moment, we stretch on. Rejected by his people, by his friends he was denied. Stripped of dignity and clothing for reasons no one understood. He asked his Heavenly Father “can’t you take this task from me"
Sweating blood in desperation as he prayed out earnestly. The soldier of humility, our Salvation on a cross. On the 15th and 22nd November we're having our Generous Gift Days where we're looking to raise £100,000 to give away locally, nationally and internationally. Jesus calls us to live generous lives - this gift day is an opportunity for us to model that both as individuals and as a community. 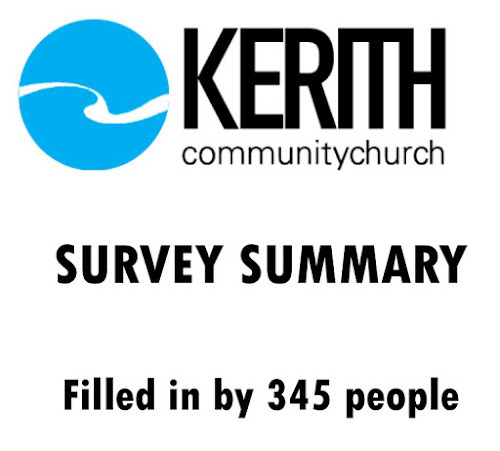 For the local giving we'd love people in Kerith to nominate local groups who you think would be worthy recipients. That could be a local charity, a school, a church, a national charity with a local office or any other group doing great stuff in our local community. 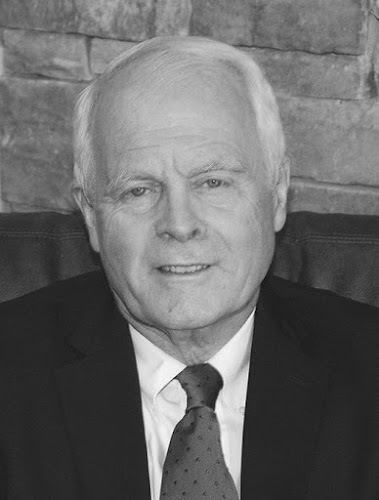 Andy Jackson is going to collate all the nominations, so if you have an idea for who to nominate then please email Andy with your suggestion. Is there anything specific for which the money would be used? Is there any reason you particularly think this organisation is worthy of support? Andy will then head up a team who will look at all the nominations and decide which ones we are going to support. A couple of requests with all this. Firstly please don't talk to the organisation in advance - we don't want to build up anyones hopes and then disappoint them! Secondly please don't take it personally if the organisation you've nominated isn't chosen. Please be thinking about who to nominate, and what being generous in your giving would mean for you. Several years ago we embarked on a project as a community to help build a dormitory in Serenje in Zambia, a safe place for 100 girls to live in as they completed their secondary school education. This was part of a wider HIV/AIDS project which we sponsored as a church, and which was run in partnership with Tearfund. In total we raised in excess of £750,000 over five years to help fund the two projects, and although the HIV/AIDS project was by all measures very successful with many children helped back into education and many families given food security through the provision of seed and goats, the dormitory project has faced a long series of delays and setbacks. However, in the background teams from Kerith, Tearfund and our Zambian partners the Evangelical Fellowship of Zambia have been working incredibly hard to keep the building of the dormitory moving forward, and I'm delighted to say that it is now nearing completion. That is such an answer to prayer - praise God. 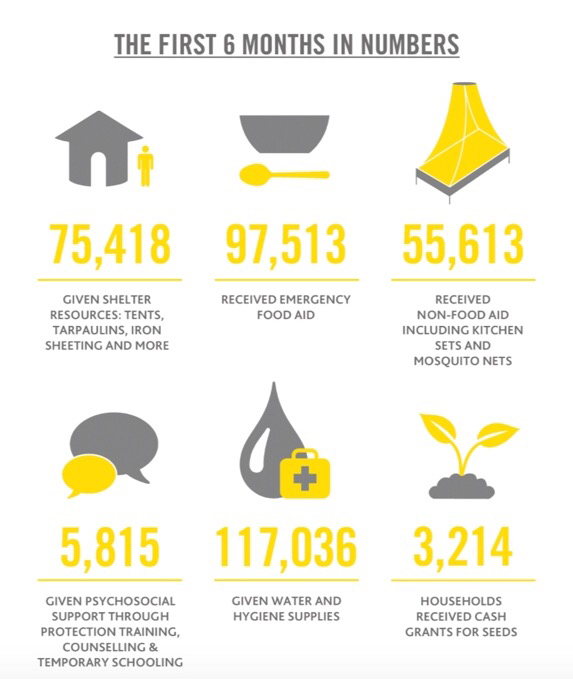 Rather than have my abridged version of what is going on I thought I'd just let you all see whole of the latest update from Tearfund. It makes exciting reading. 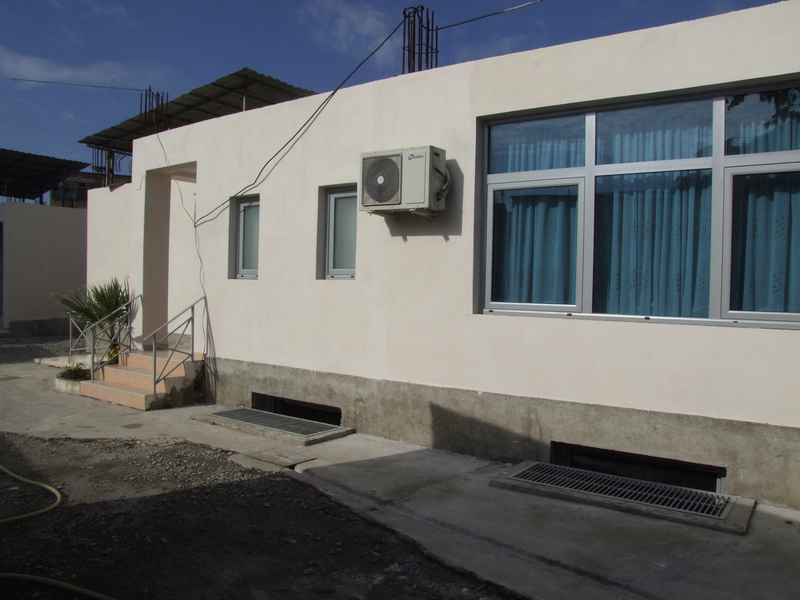 Please be praying for the completion of the dormitory, and for everyone involved including Ralph Allen from Kerith who designed the building and has been advising on construction, and Anne Mumbi from Tearfund who is overseeing the project in Zambia. Please also be praying for the next phase as a matron to run the dormitory is appointed and the girls who are going to live there are chosen. Finally a hige thank you to everyone who has given to the Serenje project over the last 7 years. Know that your generosity has made, and a continues to make, an enormous difference in the lives of people who we may never meet, but who are our neighbours. This update covers the current status of the construction project as at 15th October, 2015 . While in Serenje two meetings were held - first with the Church leaders currently in the building committee, then the site meeting with all the different artisans working at the site. The following are the update highlights by category. 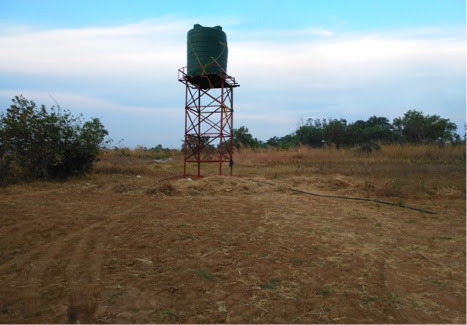 Water Reticulation: The 10,000 litre water tank – has been set up near the bole hole. The water pump has been installed and the electrical supply cables too have been connected. The plumber has laid the piping work and so far water has reached the Matron’s quarters as that’s where the plumber is currently staying while doing his plumbing work. 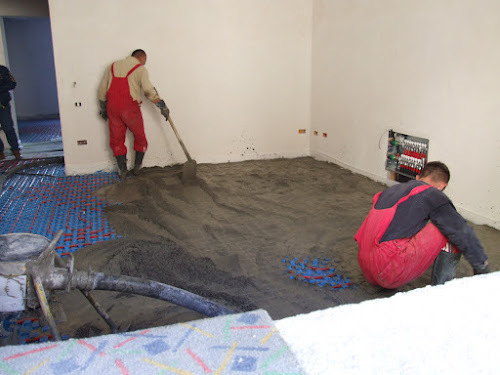 Flooring: The builders at the time of visiting had commenced on the screed floor. Three rooms had been completed on the Matron side’s wing ( Southern) and were being cured. 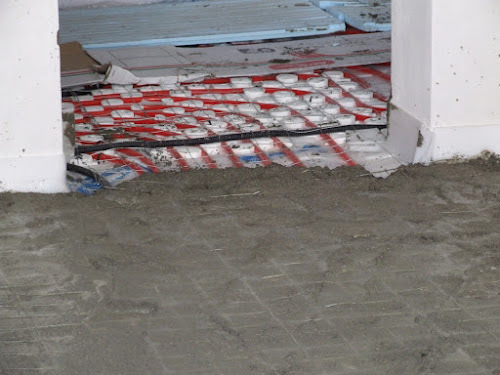 In the meeting with the team , they intimated that the flooring would be completed by end of October or first week of November in case of an unforeseen circumstances happening with the core team. 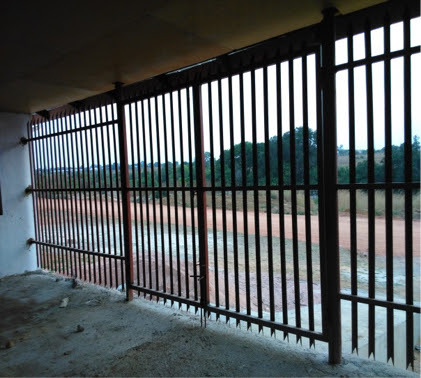 Fencing: The security fencing at the time of visiting had been completed both on the Matrons side and the main entrance. The final colour for the fence will be decided once the whole building is painted so that the colours are well coordinated. 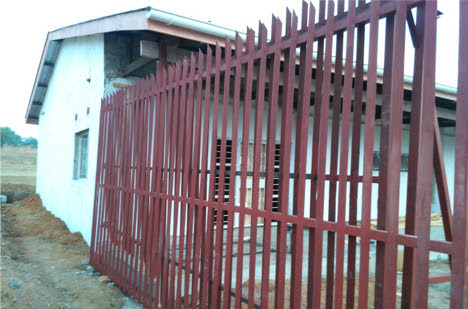 The entrance fence has a sliding gate while the Matron’s side has a normal gate that will be locked normally. Spoon drainage: Works on the spoon drainage had commenced too while works on gutters had been completed at the time of visiting. 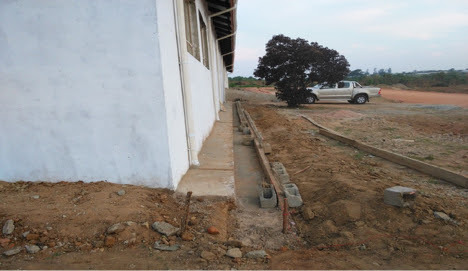 The blundering works that were outstanding in the corridors were also being worked on by the carpenters and hoped to be completed by end of the week. At a meeting held with the various artisans, it was estimated that most of the works would be completed by 31st October and if any delays, first week of November. This includes tiling, flooring, all Carpentry works, spoon drainage and all plumbing works – laying the pipe work and mounting the Sanitary ware. The external electrical components as these will be completed only after all the other works have been done. Power is on site and only the Matron’s side has been switched both inside and a few security lights to brighten the outside. Currently the power in on single phase and it will likely take a little longer about a month for the Power Company to move it to 3 phase source. Painting: this too may not be completed by end of October as it’s the final activity once all the other things have been completed and the place has been cleaned. This will go hand in hand with skirting and electrical fittings. 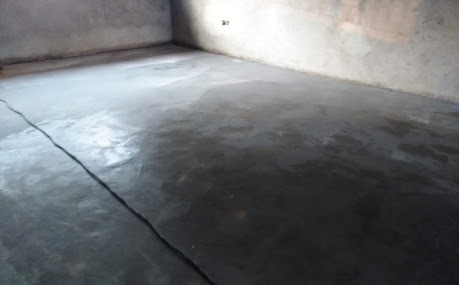 While it has been exciting to see the progress being made after all the materials were bought, the team has started planning for the procurement of dormitory equipment. This includes the ordering of beds, lockers, cookers, crockery, fridges etc., furniture for Matron’s Office and house. Quotations have been collected and will be passed on to the Logistics team for approval and requesting of funds to be wired through the Tearfund account. The economic situation in Zambia currently is bad as the currency is losing value sometimes twice in a day and so in such circumstances, it will be very important to have a short turnaround in terms of decisions to buy and approvals. The Job description for the recruitment of the Matron is being finalized and this will be tabled before the Serenje Church leadership for prayer and support towards recruitment of the right person that will manage the Girls compound, inspire, lead them to Christ and motivate them. 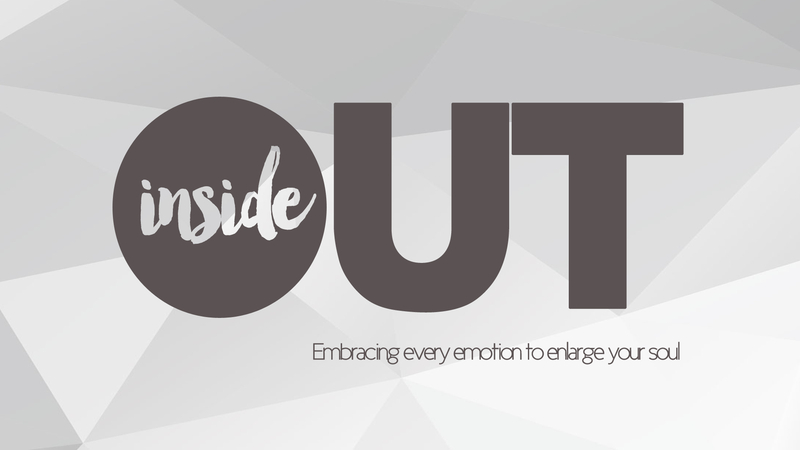 This Sunday we had Dr Roger Bretherton with us, kicking off our series on embracing our emotions. 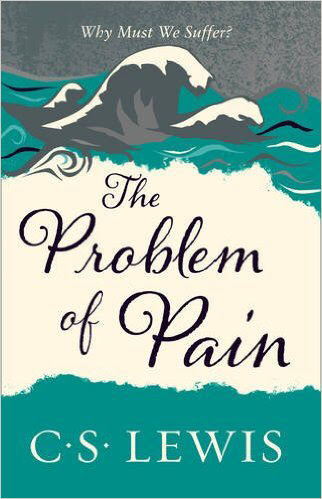 He did an outstanding job of speaking into the subject, both from a Biblical viewpoint and from his background as a clinical psychologist. If you missed it you can watch a video of Roger's talk here. He encouraged us to see those as a menu, choosing to do the one that most stands out to us, rather than adding all 5 to our to do list and just feeling more guilty! Endurance really spoke to me, both from a personal point of view and in light of me speaking on handling grief and loss this coming Sunday. What are you going to be doing this week in order to be emotionally healthy? ps - we're currently looking at providing videos of Sunday talks on the church website, alongside the audio podcasts. We're also investing in the technology to allow us to live stream a Sunday meeting (we recently did this for a wedding which got watched all around the world!). I'd be really interested to hear if people think they'd make use of either of these if we were to make them available.